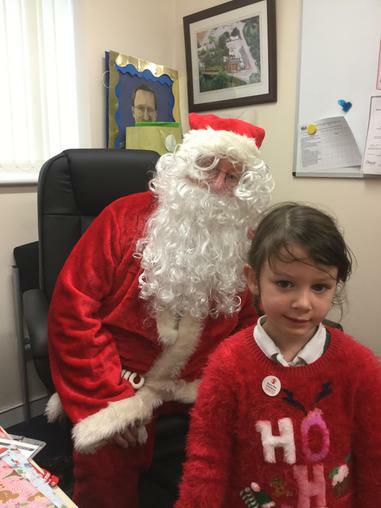 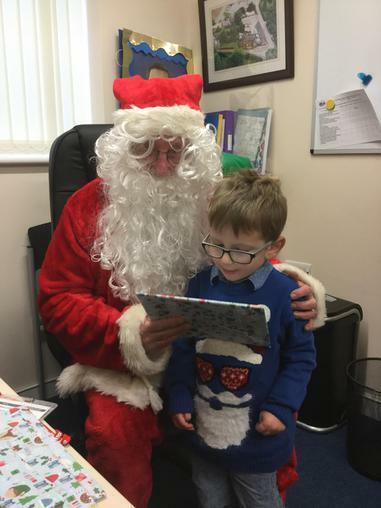 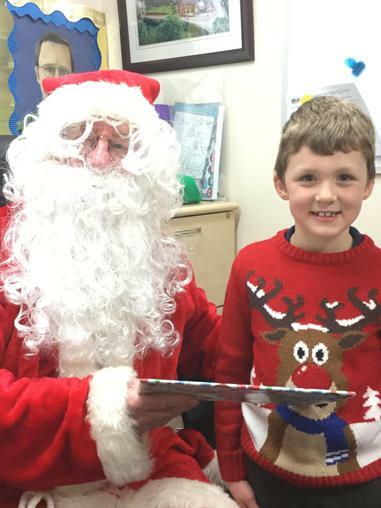 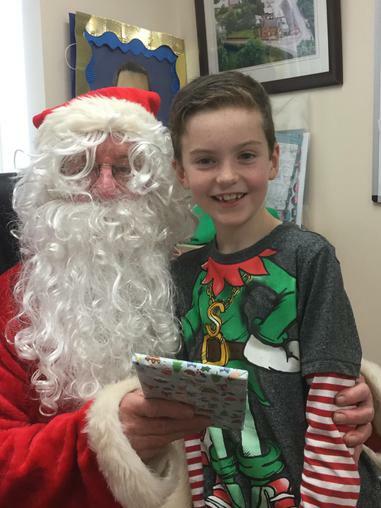 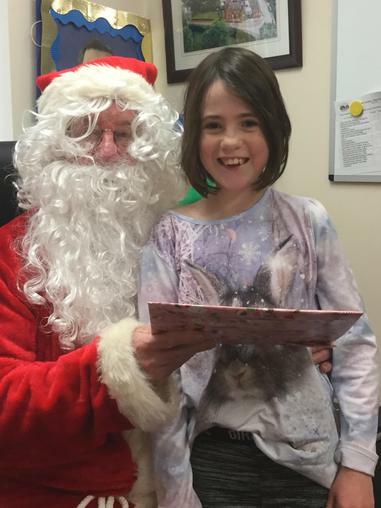 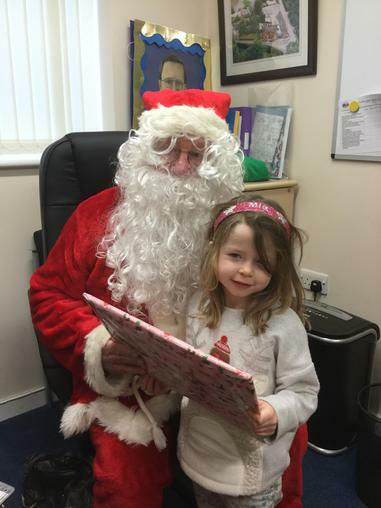 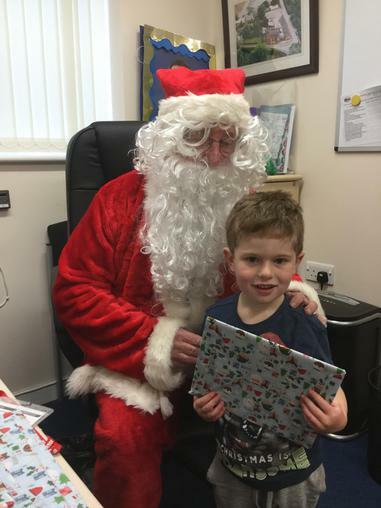 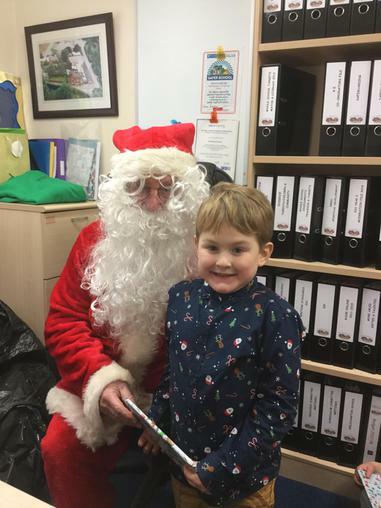 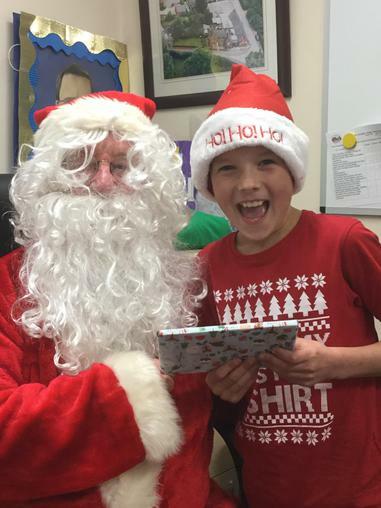 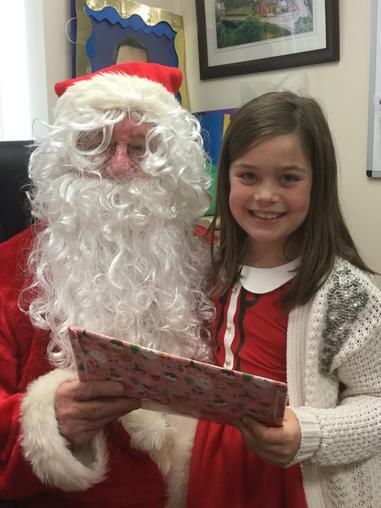 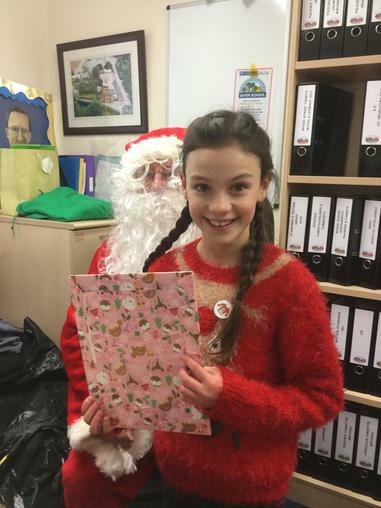 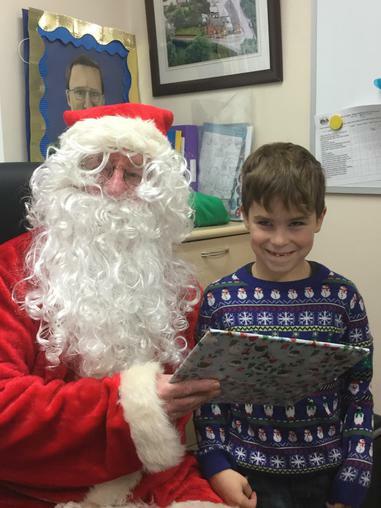 A surprise visitor in a big, RED suit! 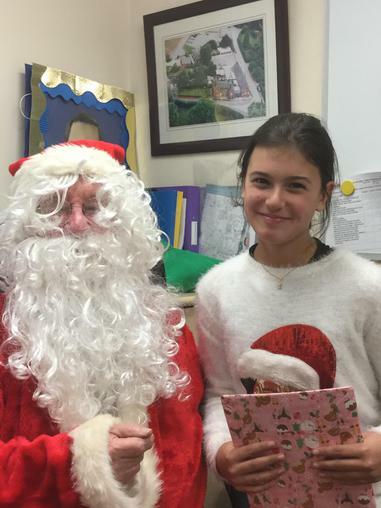 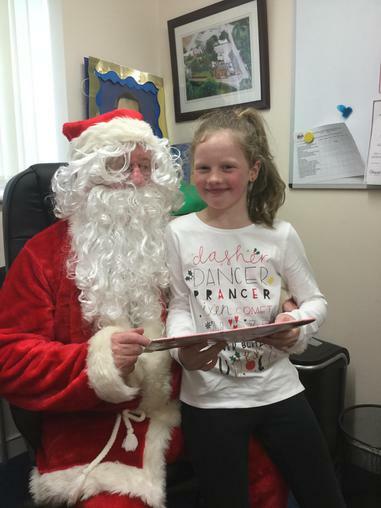 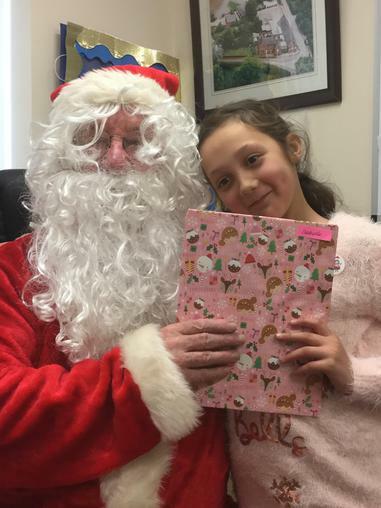 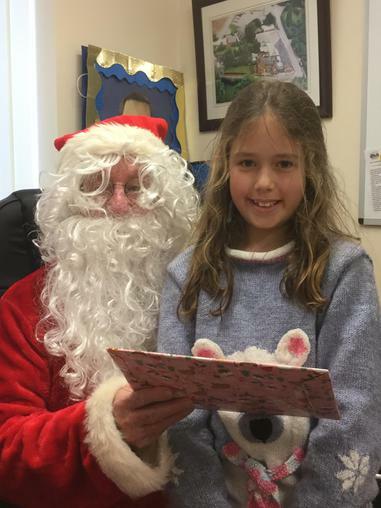 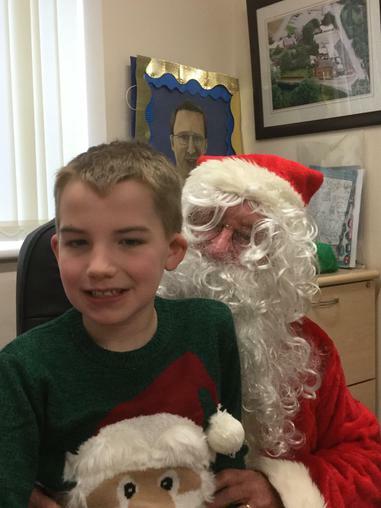 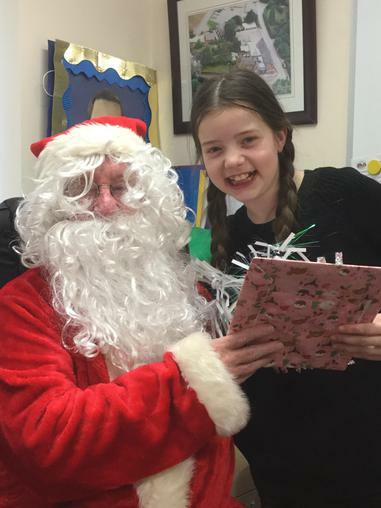 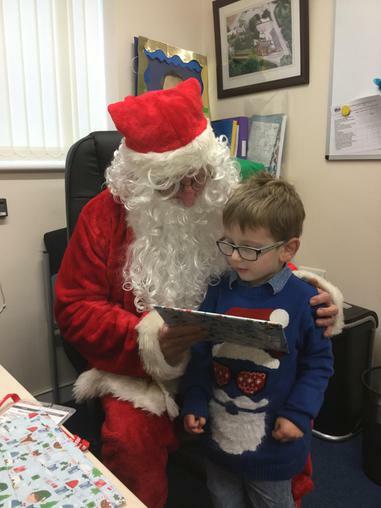 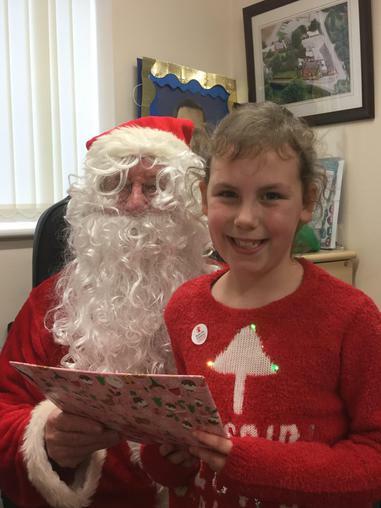 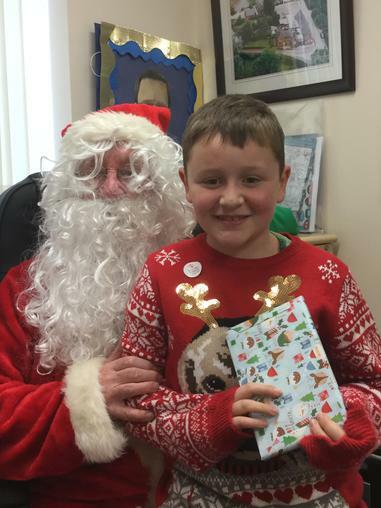 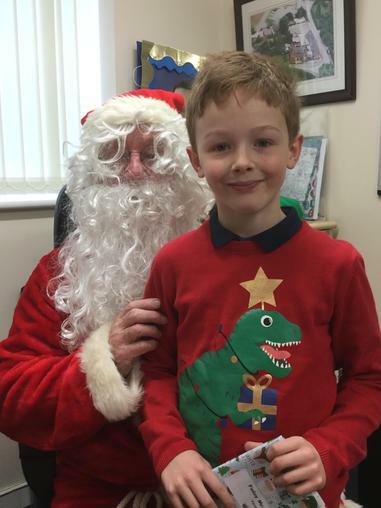 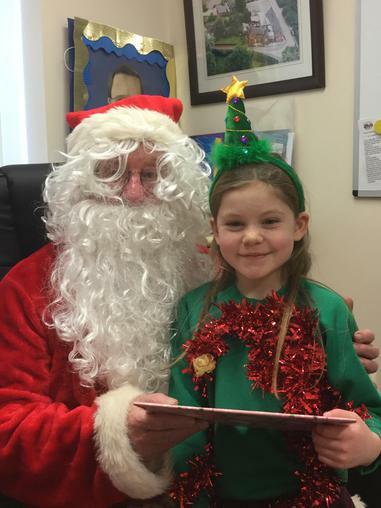 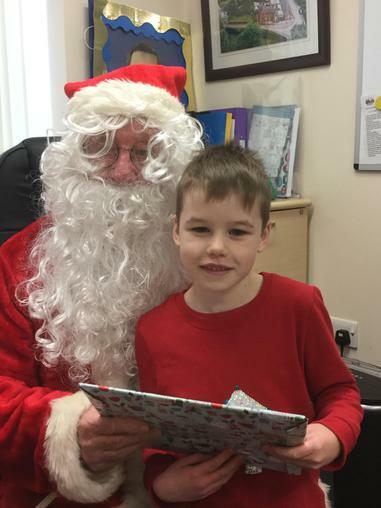 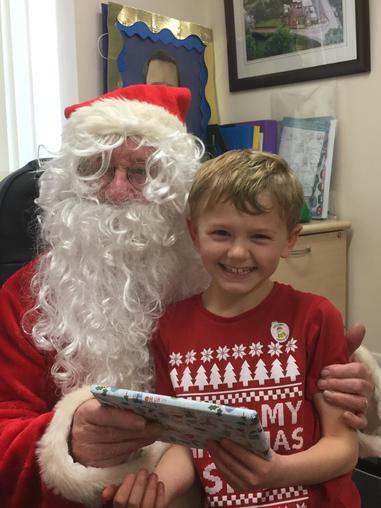 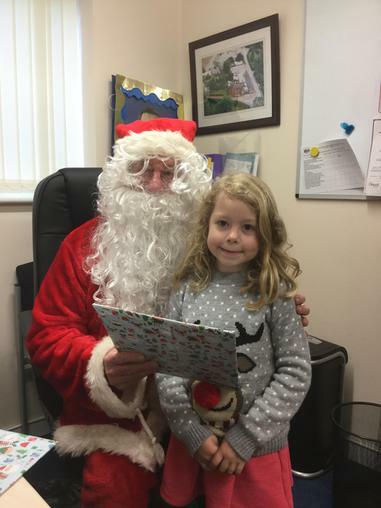 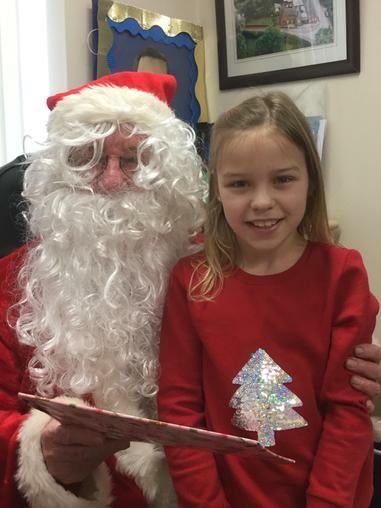 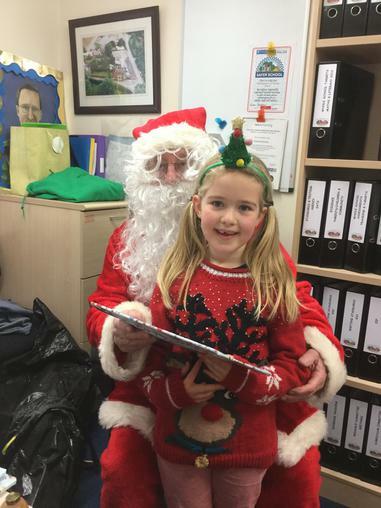 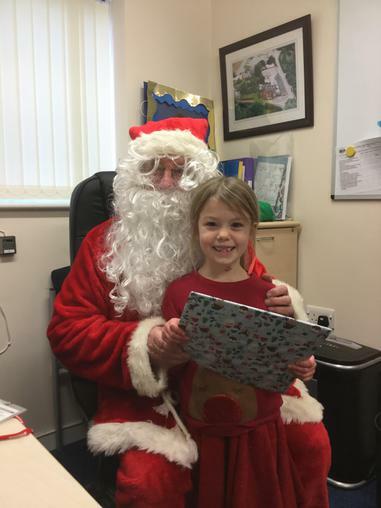 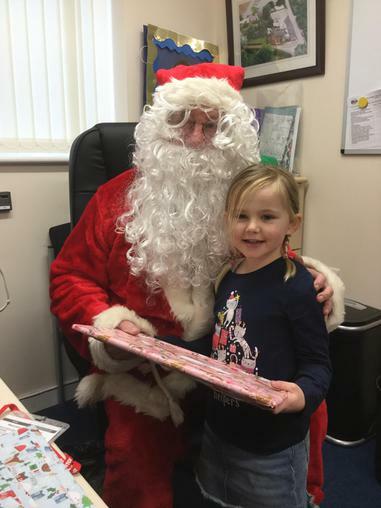 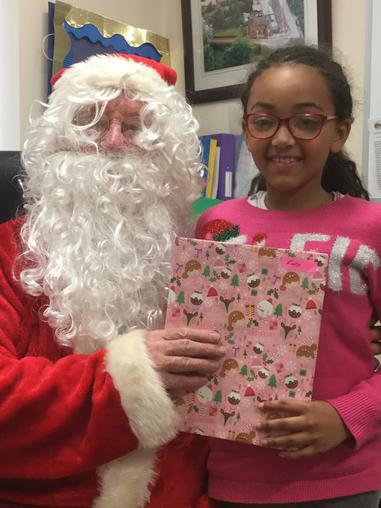 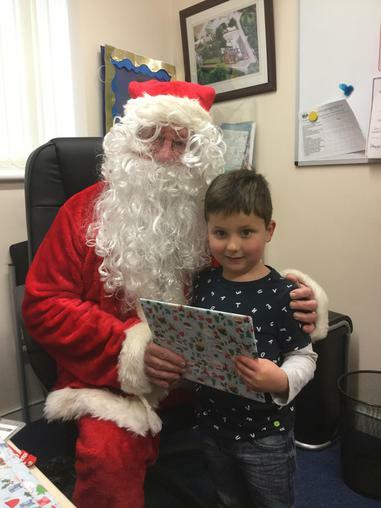 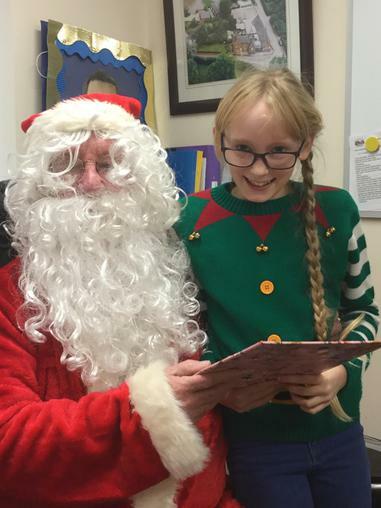 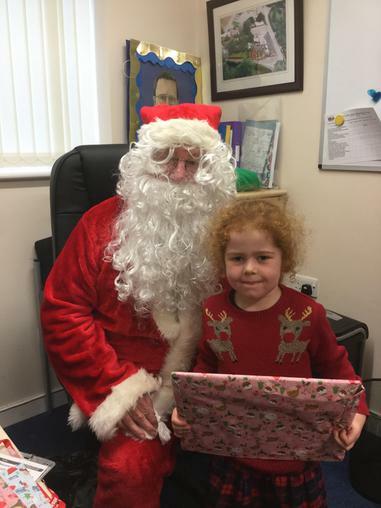 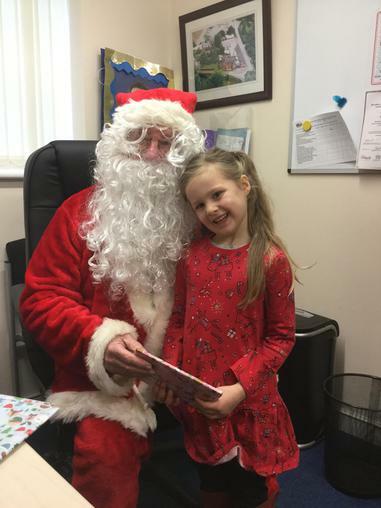 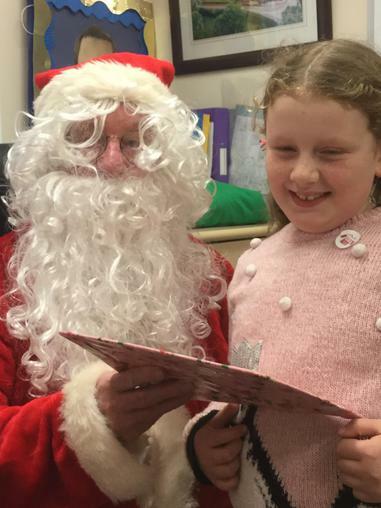 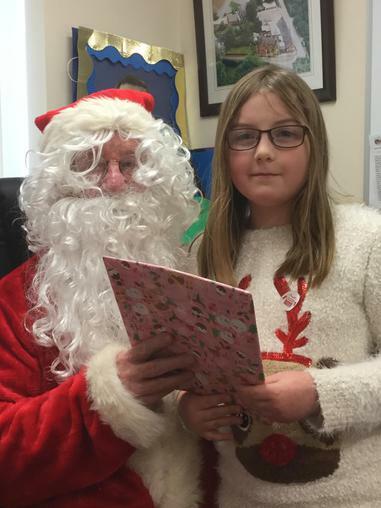 Today the children all had a surprise visit from Father Christmas, the children all burst into song, singing: 'Jingle Bells and We wish you a Merry Christmas.' 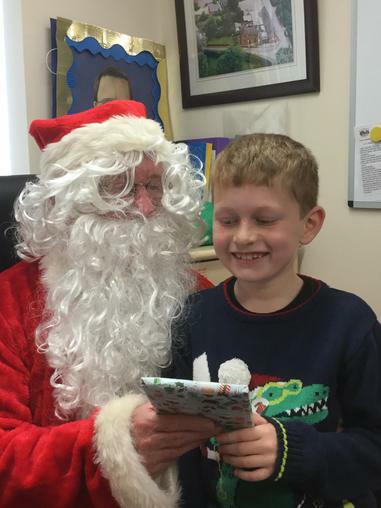 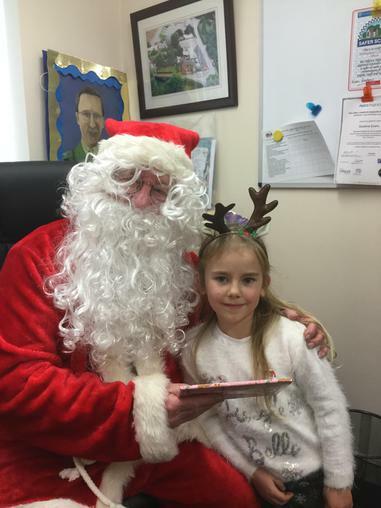 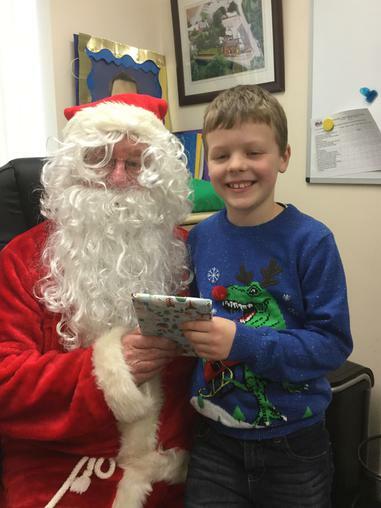 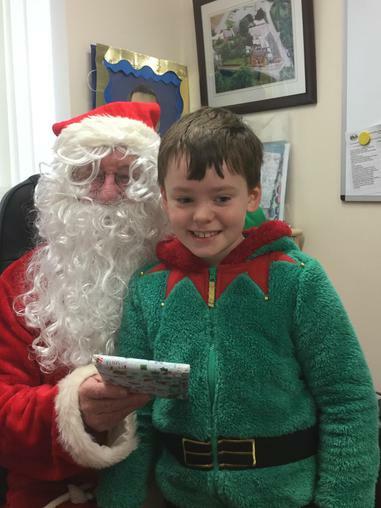 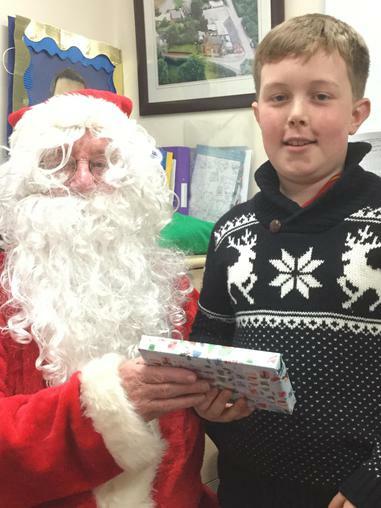 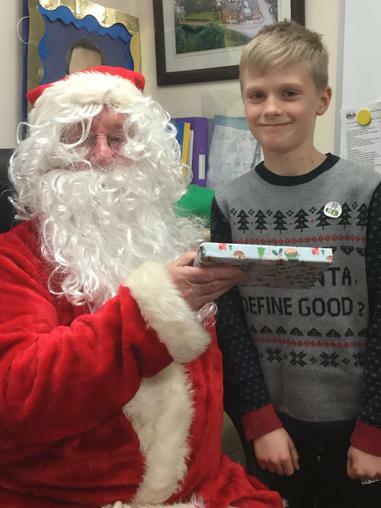 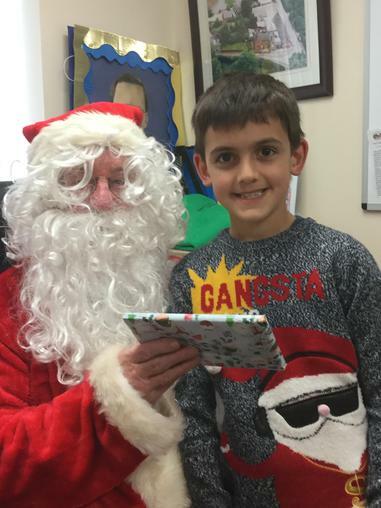 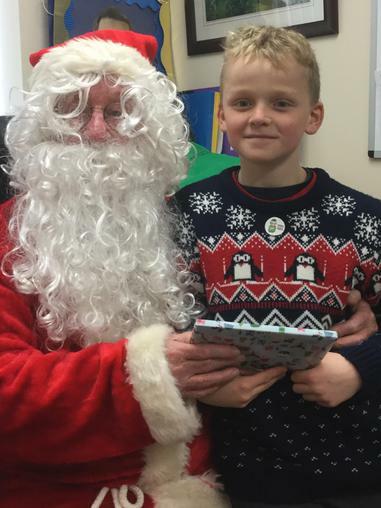 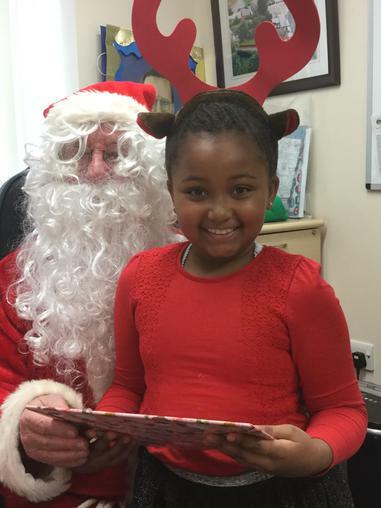 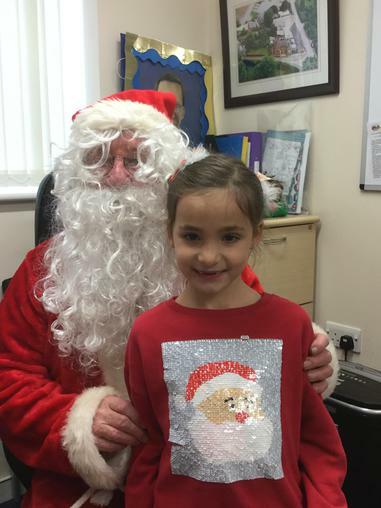 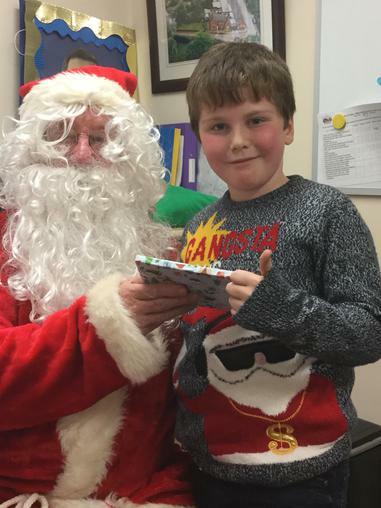 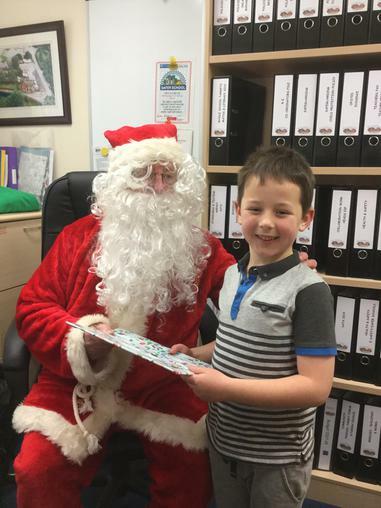 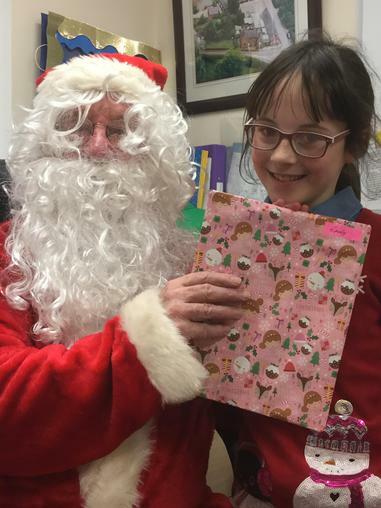 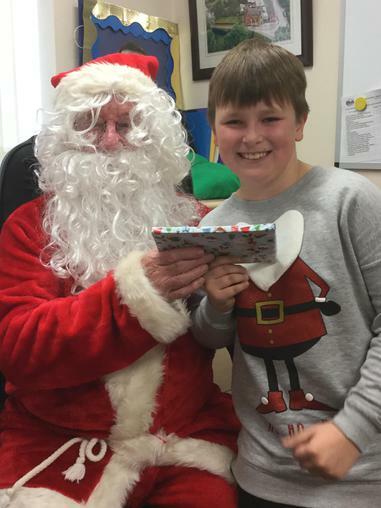 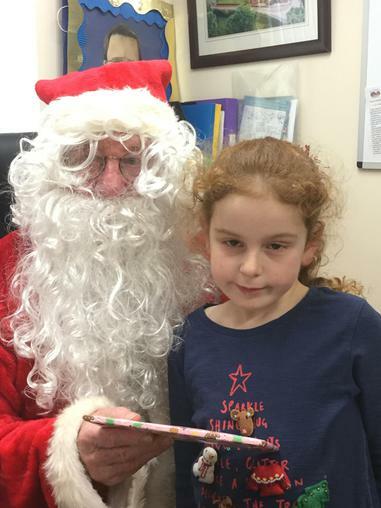 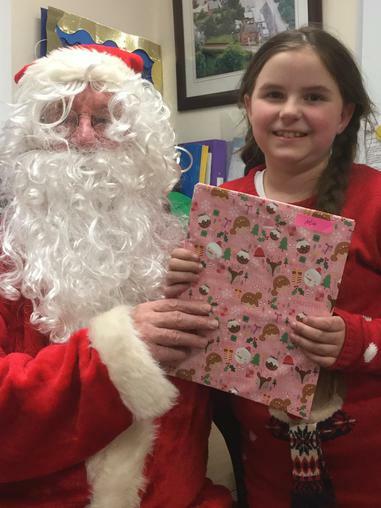 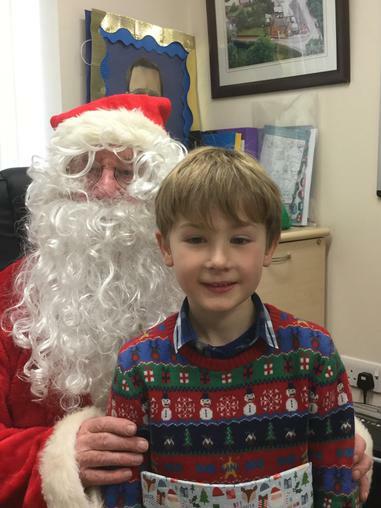 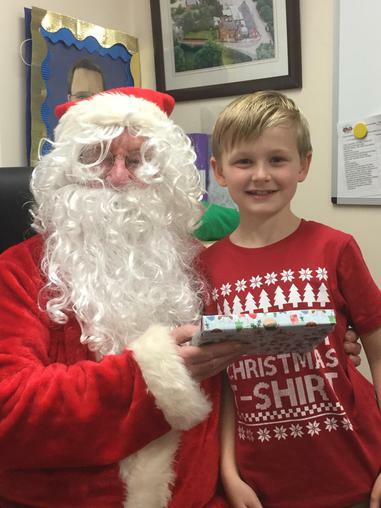 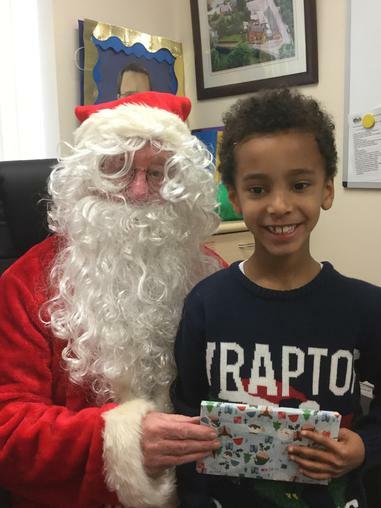 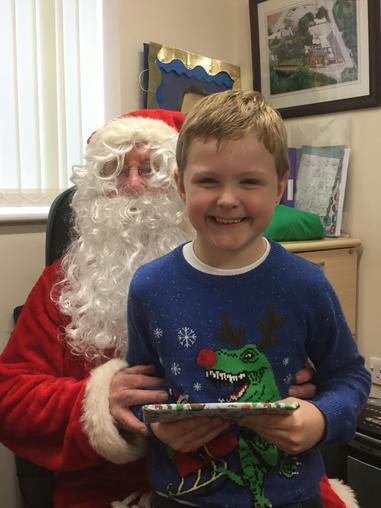 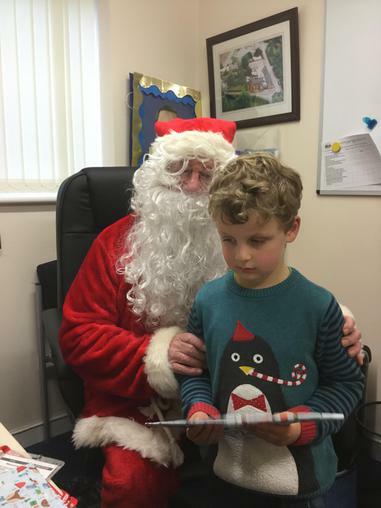 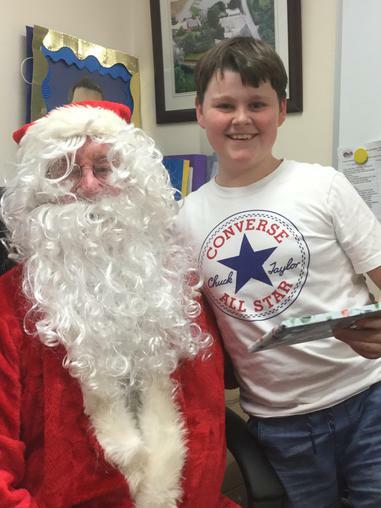 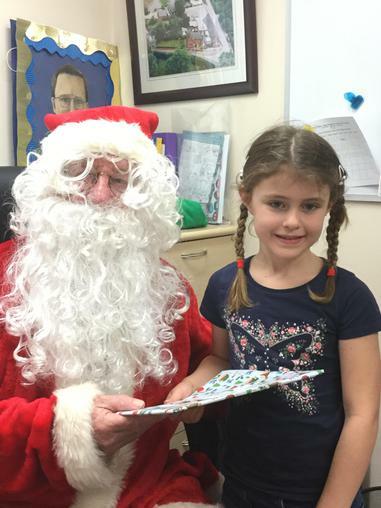 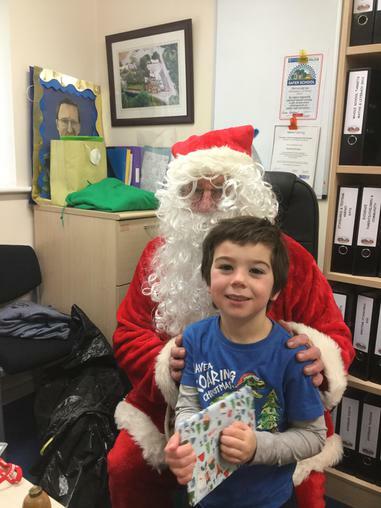 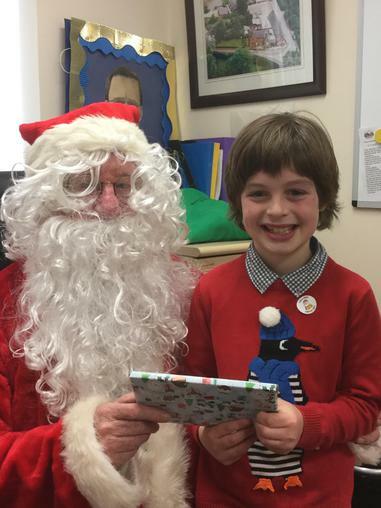 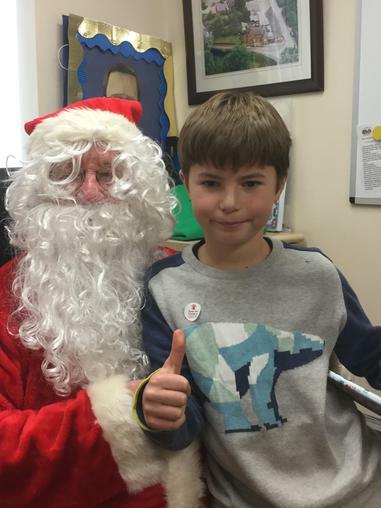 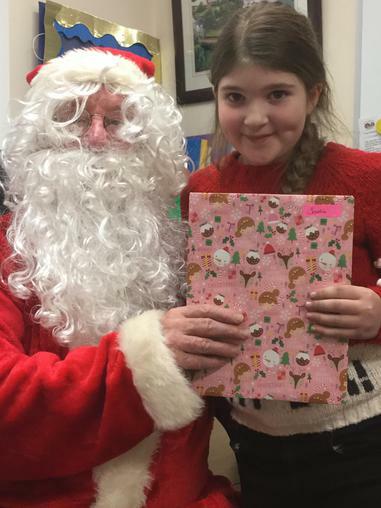 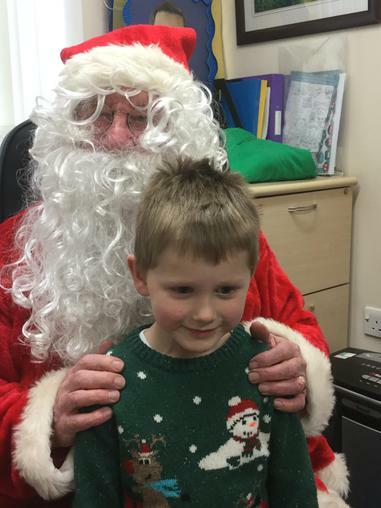 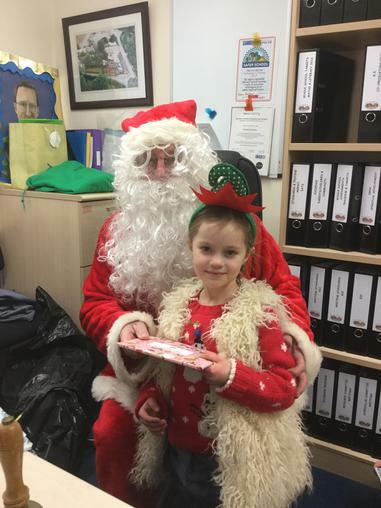 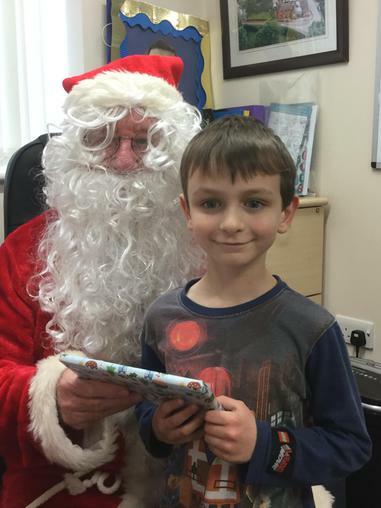 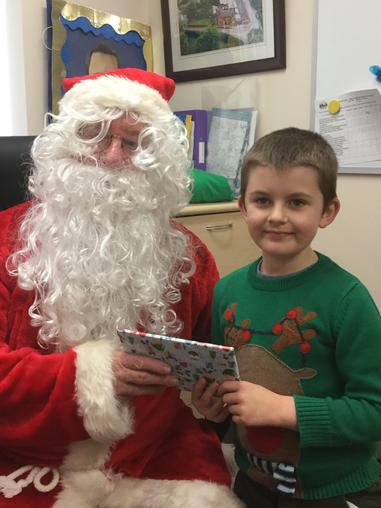 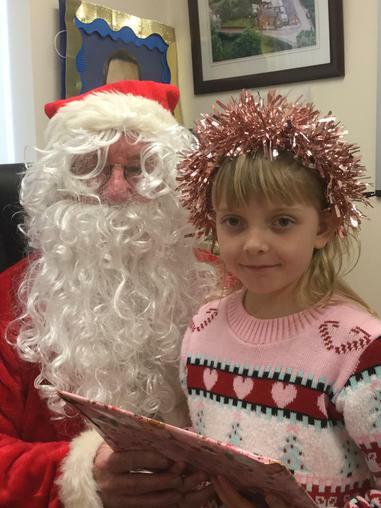 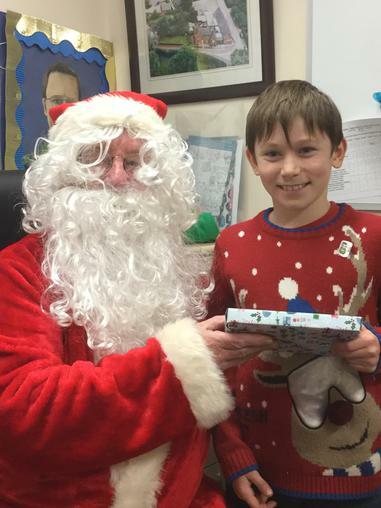 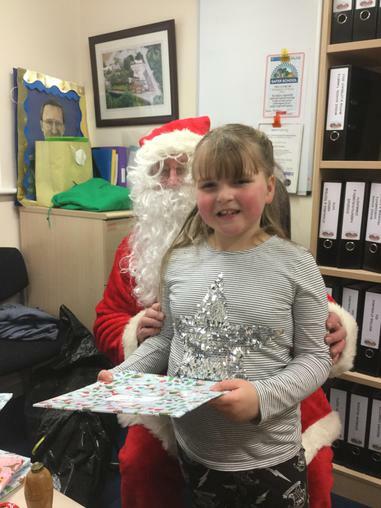 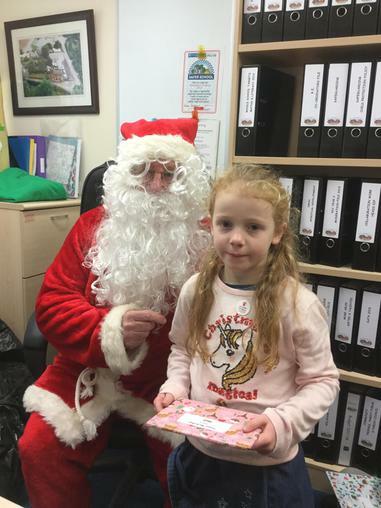 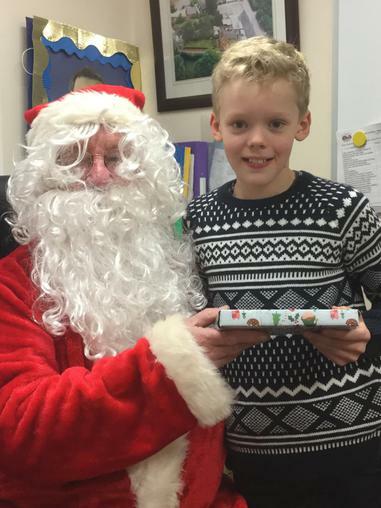 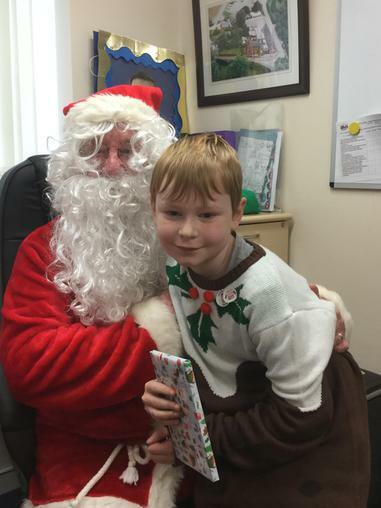 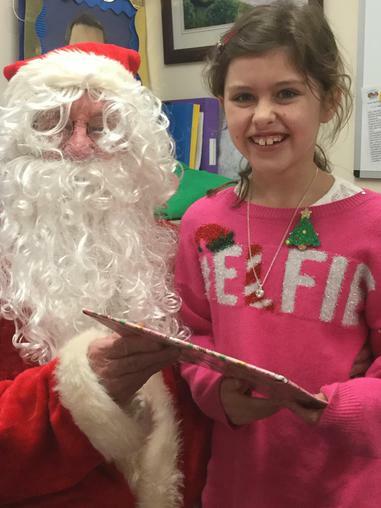 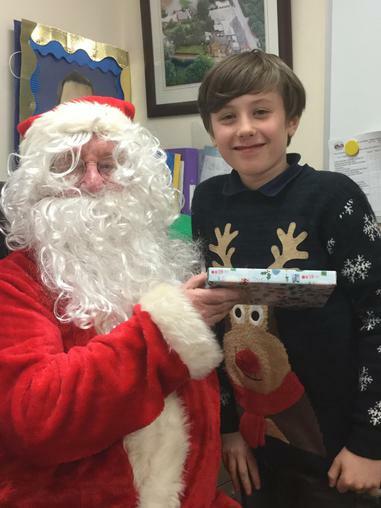 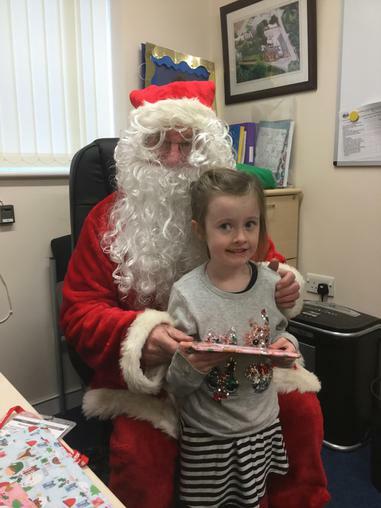 Afterwards the children all had a chance to meet Father Christmas and receive a present.